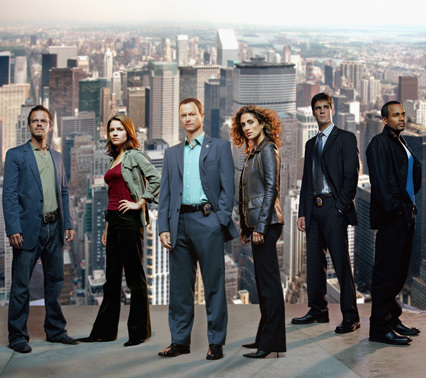 CSI - Scena del crimine NY Cast. . Wallpaper and background images in the CSI - NY club tagged: csi csi:ny csi new york crime scene investigation cast. I've seen this pic many times but I've never noticed that there are the skyscrapers of NY in the background? !